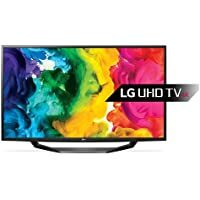 Get LG 49UH850V 49" 4K Ultra HD 2160p HDR 3D Smart LED HDTV with 3D Glasses from Currys.co.uk. 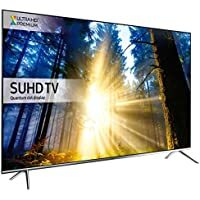 Get Samsung UE65KS8000 65" 4K HDR SUHD 2160p Smart LED HDTV from Simply Electricals. 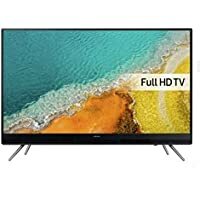 Get Samsung UE43KU6400 43" 4K Ultra HD 2160p HDR Smart HDTV from Groupon. Get Panasonic TX-65DX750B 65" 4K Ultra HD 2160p 3D Smart LED HDTV from PRC Direct. 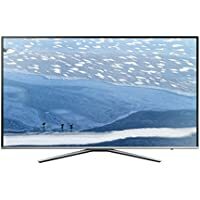 Today only, get Samsung UE49K5500 49" 1080p Smart LED HDTV from eBay.co.uk (via Argos). Get Sony KD55XD9305BU 55" 4K Ultra HD 2160p 1000HZ HDR 3D Smart LED HDTV from Power Direct. Price Drop! Get LG 55LH604V 55" 1080p Smart LED HDTV from Amazon.co.uk (via Tvsandmore). Get LG 49UH770V 49" 4K Ultra HD 2160p 200Hz HDR Smart LED HDTV from BT Shop. 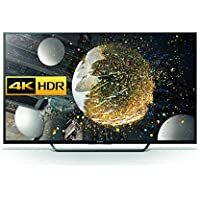 Get Sony KD50SD8005BU 50" Curved 4K Ultra HD 2160p HDR Smart LED HDTV from Amazon.co.uk. Get Sony KD55XD8005 55" 4K Ultra HD 2160p HDR Smart HDTV from Amazon.co.uk. 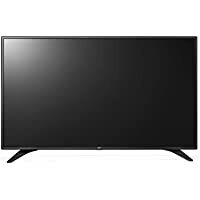 Get Sony Bravia 48WD653BU 48" 1080p 200Hz Smart LED HDTV from Electrical.coop.co.uk. Get Sony Bravia KDL-40RD453 40" 1080p 200Hz Smart LED HDTV from Electrical Discount UK. 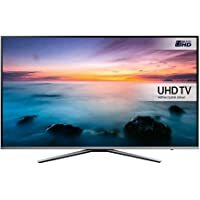 Get Samsung UE60KU6000 60" 4K Ultra HD 2160p HDR Smart LED HDTV from Electrical Discount UK. Discount : £15.00 via voucher "SPRING15"
Price Drop! 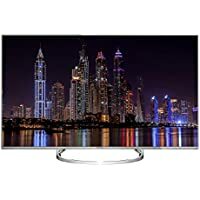 Get Samsung UE55KS8000 55" 4K Ultra HD 2160p 50Hz Smart LED HDTV (Silver) from PRC Direct. 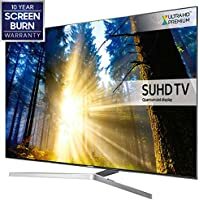 Get Samsung UE49KS8000 49" 4K Ultra HD 2160p HDR Smart LED HDTV from Currys.co.uk. Get LG 55UH950V 55" 4K Ultra HD 2160p HDR 3D Smart LED HDTV from PRC Direct. 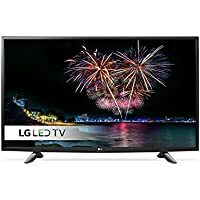 Today only, get LG 43LH5100 43" 1080p 100Hz LED HDTV from Ebuyer.com. Get Samsung UE65KU6400 65" 4K Ultra HD 2160p Smart LED HDTV with webOS from Crampton & Moore. 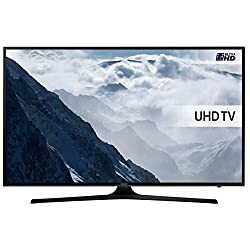 Get Samsung UE40KU6000 40" 4K Ultra HD 2160p Smart LED HDTV (Black) from Crampton & Moore. Get Samsung UE55KS7000 55" 4K SUHD 2160p HDR Smart LED HDTV from Crampton & Moore. Get Samsung UE49KS8000 49" 4K Ultra HD 2160p HDR Smart LED HDTV from Amazon.co.uk (via Tvsandmore). Get Refurbished Panasonic TX-49DX600B 49" 4K Ultra HD 2160p Smart LED HDTV from eBay.co.uk (via Panasonic). 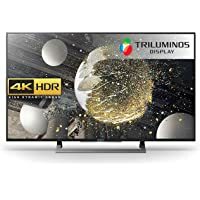 Get Sony Bravia KD55XD7005 55" 4K Ultra HD 2160p Smart LED HDTV (Black) from Hughes. Get Manufacturer Refurbished Panasonic Viera TX-49DS500B 49" 1080p Smart LED HDTV from eBay.co.uk (via Panasonic). Get LG 55LH604V 55" 1080p Smart LED HDTV from Amazon.co.uk (via Tvsandmore). 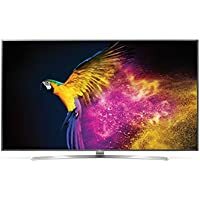 Get LG 55UH661V 55" 4K Ultra HD 2160p HDR Smart LED HDTV from Amazon.co.uk. 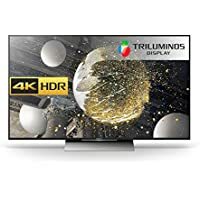 Get LG 55UH770V 55" 4K SUHD 2160p HDR Smart LED HDTV (Silver) from Hughes. 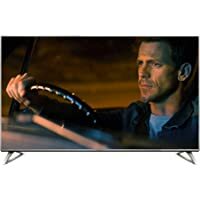 Get Manufacturer Refurbished Panasonic TX-40DX700B 40" 4K Ultra HD 2160p HDR Smart LED HDTV (Black) from eBay.co.uk (via Panasonic). 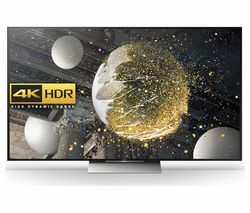 Get Refurbished Panasonic TX-50DX700B 50" 4K Ultra HD 2160p 1000HZ HDR Smart LED HDTV from eBay.co.uk (via Panasonic). 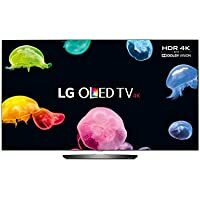 Get LG OLED55B6V 55" 4K Ultra HD 2160p HDR Smart OLED HDTV from Currys.co.uk. 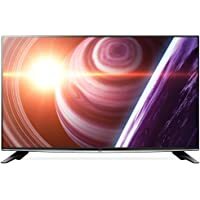 Get Refurbished Panasonic TX-50DX750B 50" 4K Ultra HD 2160p HDR 3D Smart LED HDTV from eBay.co.uk (via Panasonic). 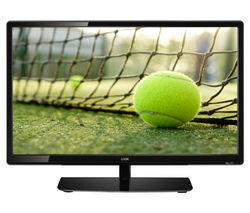 Get Logik L22FE14 22" 1080p LED HDTV from Currys.co.uk. 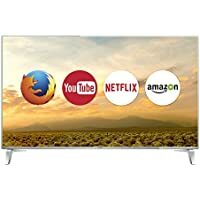 Get Panasonic TX-58DX700B 58" 4K HDR Ultra HD 2160p Smart LED HDTV from Amazon.co.uk. 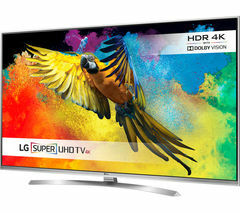 Get LG 43UH620V 43" 4K HDR Ultra HD 2160p 1200Hz Smart LED HDTV from Currys.co.uk. Get Samsung T32E390SX 32" 1080p Smart LED HDTV from Currys.co.uk. Get Samsung UE49KS7500 49" Curved 4K Ultra HD 2160p LED HDTV (Silver) from Electrical.coop.co.uk. Get Sony KD65XD7505 65" 4K Ultra HD 2160p 800Hz Smart LED HDTV from Currys.co.uk. 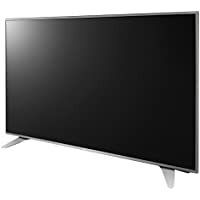 Get Panasonic TX49DS500B 49" 1080p Full HD Smart LED TV from Electrical.coop.co.uk. 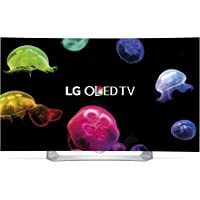 Get LG OLED55B6V 55" 4K Ultra HD 2160p Smart OLED HDTV from Argos.co.uk. 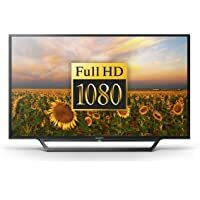 Discount : 10% via voucher "TVS10"
Get Sony Bravia KD49XD7004BU 49" 4K HDR Ultra HD 2160p Smart LED HDTV from Amazon.co.uk. Super Hot! Get Sony Bravia KD49XD7005 49" 4K HDR Ultra HD 2160p 200Hz Smart LED HDTV from Electrical.coop.co.uk. 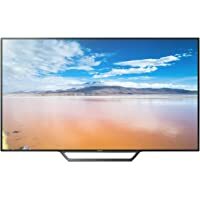 Get Sony Bravia KD49XD8088 49" 4K Ultra HD 2160p 400Hz Smart LED HDTV from Electrical.coop.co.uk. Amazon Lightning Deal! 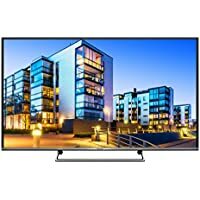 Get Sony Bravia SONY554KTV 55" 4K Ultra HD 2160p 100Hz Smart LED HDTV from Amazon.co.uk. 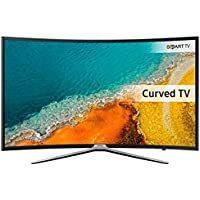 Get Samsung UE55K6300 55" Curved 1080p Smart LED HDTV from Groupon. 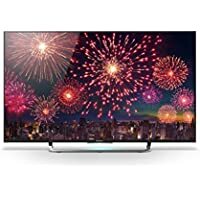 Get LG 50UH635V 50" 4K HDR Ultra HD 2160p 600HZ Smart LED HDTV from Ebuyer.com. 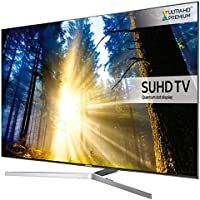 Get Samsung UE55KS7000 55" 4K HDR SUHD 2160p Smart LED HDTV from PC World. 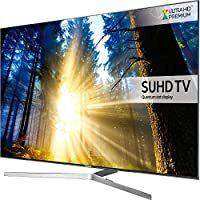 Discount : £50 off £799 via voucher "50LSTV"
Get Samsung UE55KU6470 55" 4K HDR Ultra HD 2160p Smart LED HDTV (Silver) from Currys.co.uk. Get Sony KD50SD8005BU 50" Curved 4K Ultra HD 2160p 50Hz Smart LED HDTV from Electrical.coop.co.uk. 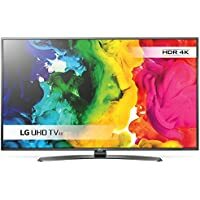 Get LG 49UH770V 49" 4K HDR Ultra HD 2160p 200Hz Smart LED HDTV from Amazon.co.uk. 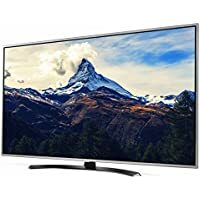 Get Samsung 5 Series UE49K5100 49" 1080p LED HDTV from Amazon.co.uk (via Electronic Empire). Get LG 50UH635V 50" 4K HDR Ultra HD 2160p 600HZ Smart LED HDTV from Amazon.co.uk (via PRC Direct). Get LG 55UH615V 55" 4K HDR Ultra HD 2160p Smart LED HDTV from Argos.co.uk. 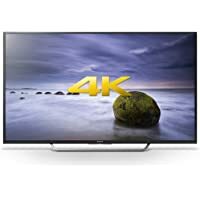 Get Sony KD-49X8305C 49" 4K Ultra HD 2160p Smart LED HDTV from Argos.co.uk. 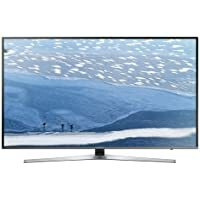 Get Samsung UE49KU6400 49" 4K HDR Ultra HD 2160p Smart LED HDTV from Ebuyer.com. Super Hot! Get LG 49UH668V 49" 4K HDR Ultra HD 2160p Smart LED HDTV (Silver) from Currys.co.uk. 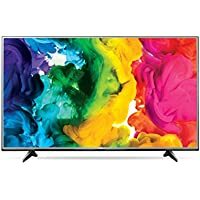 Get LG 60UH615V 60" 4K HDR Ultra HD 2160p Smart LED HDTV from Amazon.co.uk. 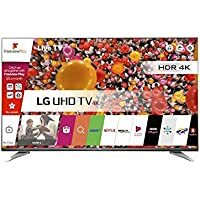 Get LG 55UH950V 55" 4K HDR Ultra HD 2160p 3D Smart LED HDTV from Amazon.co.uk. 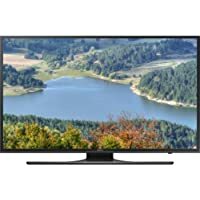 Get Refurbished Panasonic TX-49DX600B 49" 4K Ultra HD 2160p Smart LED HDTV from Amazon.co.uk (via Panasonic). 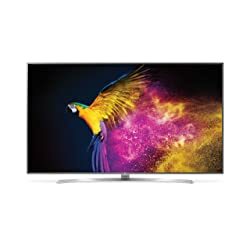 Get Lg 65UH950V 65" 4K Ultra HD 2160p Smart LED HDTV with webOS from Selfridges. 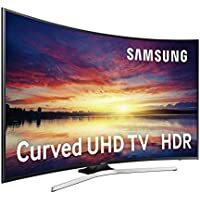 Get Samsung UE55KS7500 55" Curved 4K HDR Ultra HD 2160p Smart LED HDTV from PRC Direct. 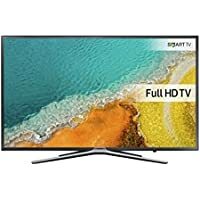 Get LG 49UH650V 49" 4K HDR Ultra HD 2160p Smart LED HDTV from Argos.co.uk. 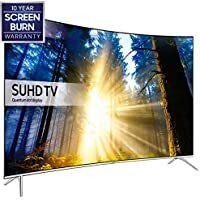 Get Samsung UE70KU6000 70" 4K Ultra HD 2160p Smart LED HDTV (Black) from Currys.co.uk. 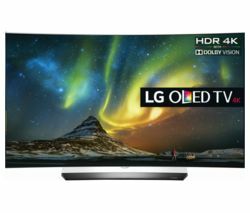 Get LG OLED55C6V 55" Curved 4K Ultra HD 2160p 50Hz 3D Smart LED HDTV with 3D Glasses from Currys.co.uk. Get Sony KD55SD8505 55" Curved 4K Ultra HD 2160p 1000Hz Smart LED HDTV from Power Direct. Get LG 55EG910V 55" 3D 1080p Smart OLED HDTV with 3D Glasses from Groupon.